Park your skis at the door. Chairlift access only. Everett's 8,800. Everett's is like nothing else. 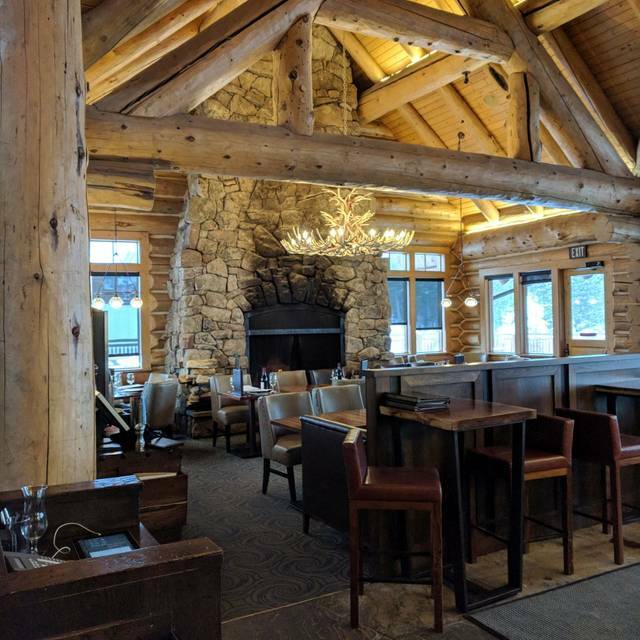 This magnificent timber ski lodge sits at an elevation of 8,800 feet on the top of Andesite Mountain. 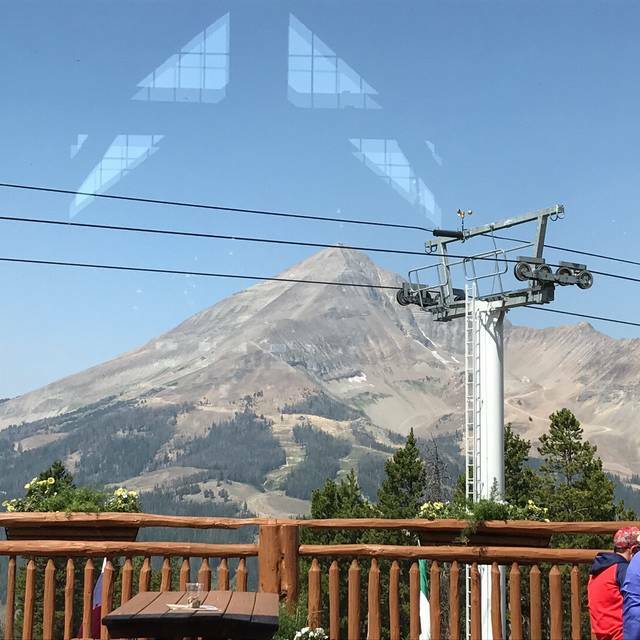 Slip out of your ski boots and into an on-mountain American Alpine dining experience served with spectacular views of Lone Mountain. Location: ski lift access via RamCharger, Thunder Wolf or Southern Comfort chairlifts at Big Sky Resort. Reservations VIA OPENTABLE Highly recommended for all guests. $34 + tax charge for foot traffic guests. My seafood meal was great, but my husbands elk wasn’t flavored well and was bland. The dessert was great. Service was great and atmosphere. Ambiance is awesome. Views are incredible. Food is delicious. Make sure to make a reservation. It’s one of the only places on the mountain to eat. Food not prepared as superbly as normal. The views and the ambiance are fabulous! Worth visiting for these reasons. However the food was really below par. We began with salads (wedge and Caesar) which were acceptable, but our entrees (the veal and the chicken) were borderline inedible. Both our entrees were really over cooked and tasteless. Wanted to love the place because of the views, but, unfortunately, we probably won’t be back. Great ambiance and food was good. It’s a little spendy. Perfect way to end a day on the slopes and the staff were very accommodating with our very large crowd. Excellent wine. This is a good restaurant with good food and a wonderful location. Service is average and the noise level is high with lots of guest trying to out-yell each other. Prices are okay and higher than some better local restaurants, but it’s up on the mountain, so not surprising. The menu has a good variety and something for everyone, and the wine list likewise. Good quality on both. Food was prepared well, but the pork was a little dry. Steaks were perfect and as ordered. We probably won’t go back as there are other places with as good or better food, but it’s worth the experience to do it once. Desserts were quite good and delicious - and enough to share. One of the most unique dining experiences I have had, considering you take the chairlift up and down at nighttime. Friendly staff, unique menu. Super fun evening riding the chairlift to dinner! Food great and unique experience. Second time at this restaurant. Food was fabulous. Wait staff was a bit spotty. For this class of restaurant the staff should be top notch. Our waitress spilled the wine and water and seemed a bit flustered. All in all a good experience. Told them it was my twins’ 18th birthday but they didn’t acknowledge the event. Ambience is great. The staff is very friendly and really try hard, but service is slow, as they were undermanned. They were out of a couple of beers on tap. The food sounds great on the menu but is just OK in reality. Value is low as the food is rather expensive. Cool experience taking the Ramcharger up without skis. Beautiful sunny day and great views. Drinks and bartender were unique and inviting. Waitress was polite but had never worked the dinner shift, though we were ok with that and happy she told us. She failed to pay attention to us though, and it doesn’t matter which shift you work to have that skill. Initial chef inspired “snack” followed by apps came out in harmony, one after another. Then nothing...and nothing...and still nothing. Waitress never bothered to find out what was going on until we got her attention 30min after the apps, and she said she’d check. Chef came out to apologize and admitted that the chicken we ordered wasn’t to his liking so he was remaking it. That’s fine with us, and we were glad he was honest, things like that happen. Eventually all the entrees were brought out and the chicken was great. What the chef failed to do was keep the rest of the entrees warm as they came out luke warm on top and actually COLD underneath and around the sides of the plate. We thought it of value to the restaurant to know what was happening and after mentioning it, the waitress said the manager was talking to the chef, and yada yada yada. They offered to comp us desserts and my cocktails, but we said we’d rather pay for the food and drinks that came out well and not pay for the poorly delivered entrees (shank and veggie “steak”). They agreed. The check at the end did not. 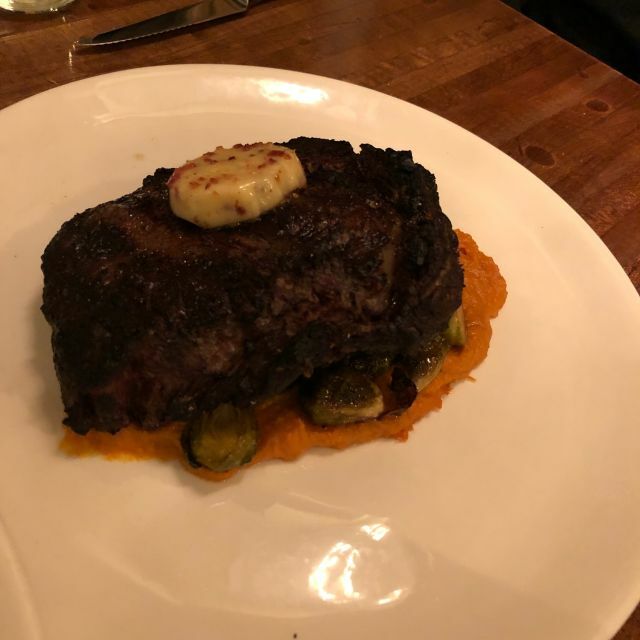 Of course, at this point we realized the restaurant has inadequately trained staff for the caliber of experience they are trying to claim, so we just paid it as it was presented and left, embarrassed and very disappointed. The family next to us had an individual who never got her steak until the rest were finished eating, and she was given a fitting excuse for her situation. Great setting, bar, cocktails, and atmosphere. Everyone walks in happy. 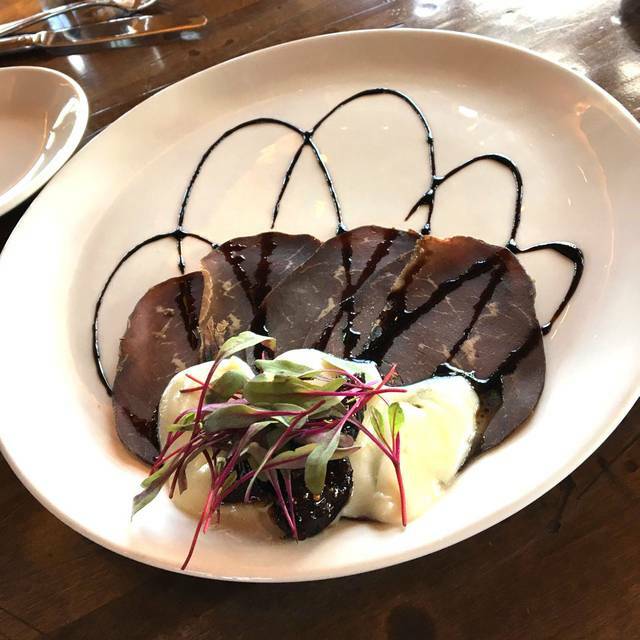 The restaurant has potential but still needs a couple years of experience. Delicious food and fantastic ambiance! Busy place, make a reservation, bring your wallet. Only venue in Big Sky worth going to, great location. Loved being able to share this wonderful spot with friends. Great foods and awesome views! My favorite! Great menu. We took our four daughters age 26-16 and they all found something on the menu that they liked. The decor was beautiful and the service was top notch! We celebrated a big family birthday at Everett’s 8800 3/15 and were wowed by everything but the professionalism of the wait staff. Actual service was fine but the adventure of getting to and from the venue by chair lift after hours (!) the ambiance (!) and the food (!) were spectacular. Perhaps the waitress had a bad day. Rode the chair up and down for dinner. Excellent food, especially the tuna special, and great service in a beautiful location. it was fun to ride the lift up to the restaurant after hours but we were kind of disappointed with the restaurant. 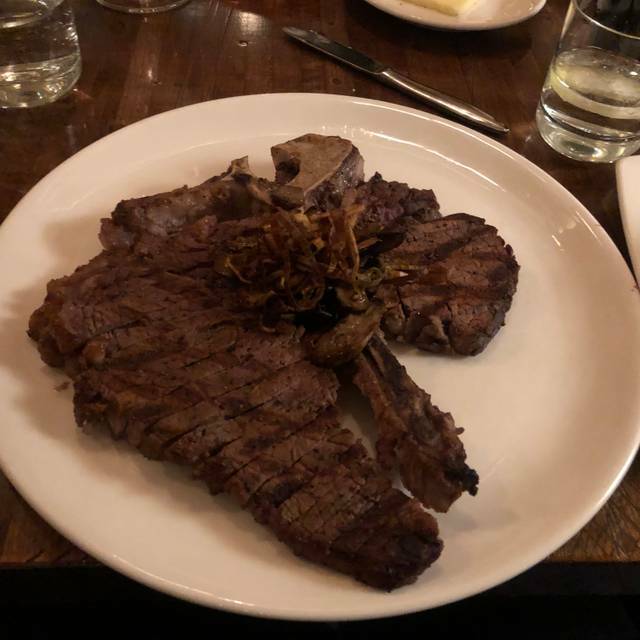 I ordered pork loin and rather than elegant slices of meat laid out on the plate, on the plate was a large, triangular chunk of meat that was rather tough. the knives provided were inadequate for the task. I asked if they had better knives like steak houses have and they didn't. my husband could have used a steak knife for his beef tenderloin too. service was rather slow or overwhelmed. my husband asked for a second glass of wine and didn't get it until he was almost done with his meal. the wine list was overpriced. it just wasn't worth all the hype. Everything was amazing! The ride up and down was breathtaking! From the friendly greeting from Rachel, the attentive service from Lori, and the delicious food, we had a fantastic experience! If you are planning a trip to Big Sky, definitely make this a stop! Wonderful views, staff, food, and ambience!!! A truly beautiful experience! The food is great, the location and the view are amazing, the service is terrible. I went there to eat 2 days in a row and I had bas service twice. the first time the waiter spills ravioli sauce all over my ski clothes and they got stained, its not a t-shirt that I am just going to throw away, ski clothes are very expensive. the second day I tell them what happened, I spoke to the hostess and the manager, instead of any good treatment they move me from the table, because apparently its booked although half the tables were empty and I left the restaurant 2h after and that table was still available. It’s loud. And right to move around. Very pricy and really average food. I’ve been here 6x now and food is always VERY slow to come out so only dine if you want 2 hours out of your ski day. Overrated. The guys have been skiing so the girls wanted an adventure- and it was. Took the ram charger lift up. The views spectacular, the food and amount excellent. Made reservations all went well. The restaurant and the architecture amazing - the lodge pole pine beams were a sight!! The weather was nice you could even sit outside. Recommend book based on weather with bright sky to appreciate the views if you don’t get to see them if not a skier. Don’t miss this adventure!!! Everett 8,800 is one of our favorites in Big Sky, however the Caesar Salad needed to be tossed with dressing and was dry. You have to eat here once if you come to Big Sky. I have dined here serval times with groups of friends, everyone we take here loves this place. Year after year our friends want to come back to this place. Love the game burger its amazing. Quiche is also top notch. View is incredible. Thr ambiance is lovely....although hectic upon entry. It is very nice that there ar hooks and cubbies off to eqch side of the entry area. It seems there are always a lot of people hoping to find an empty spot at the bar or the big common table in the bar area since most other tqbles are likely spoken for with reservations. Our party of three found that 2 of 3 choices were dryer than exoected, especially the game burger.....shich another in our house group had tried the day prior and also found to be dry. Service was also a little slower than the relaxed pace we had in mind. This was between 2-3 pm on a busy ski day. The ambiance is very nice and it is also nice that you can download on the Ramcharger lift after a big meal....or just ride in either direction as a pedestrian....at a cost, or with your ski pass. We were all very disappointed in our lunch this year. In the past 5 years our group has always enjoyed our lunch at 8800. 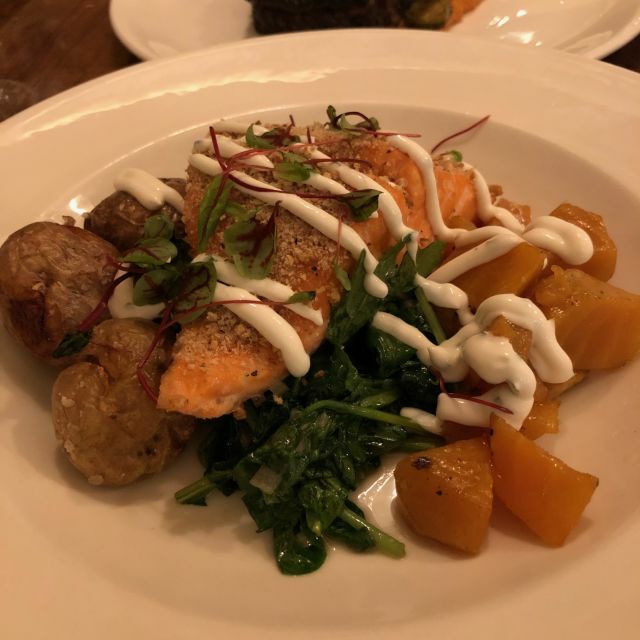 Everett's is a great dining experience at Big Sky. To sit at a table, you need a reservation, but there are high tops and seats at the bar that are first come first serve. The food is delicious! I had truffle fries, total yum grill cheese, and the rib eye for dinner (which could easily feed two people). Great service and the lift ride up and back at night was fun... though definitely cold! Enjoyable dinner and evening. A bit pricey, but worth it. Beautiful setting. Not too noisy. Very friendly and competent wait staff. Mediocre food. My elk shank was dry. My morel appetizer had good bread with it. I should know not to order morels out of season. Wonderful experience. Take the ski lift at night is pretty cool. Lift has heated seats and protective dome do its not as cold as you might anticipate. Restaurant itself is a cozy log cabin. Food was hit and miss, ribeye special was great, scallops special was marginal, overcooked with a less than perfect crust. Salads were very good, waitress seemed overwhelmed at times but service was adequate. Not the best restaurant at Big Sky (try The Cabin, much better food) but over all dining experience was worth while.